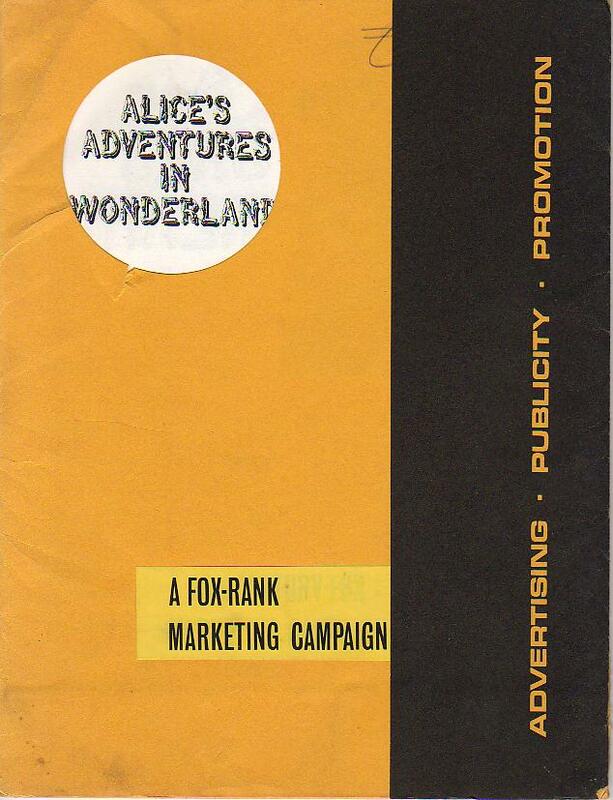 Fox-Rank Publicity Pack for Alice’s Adventures in Wonderland. 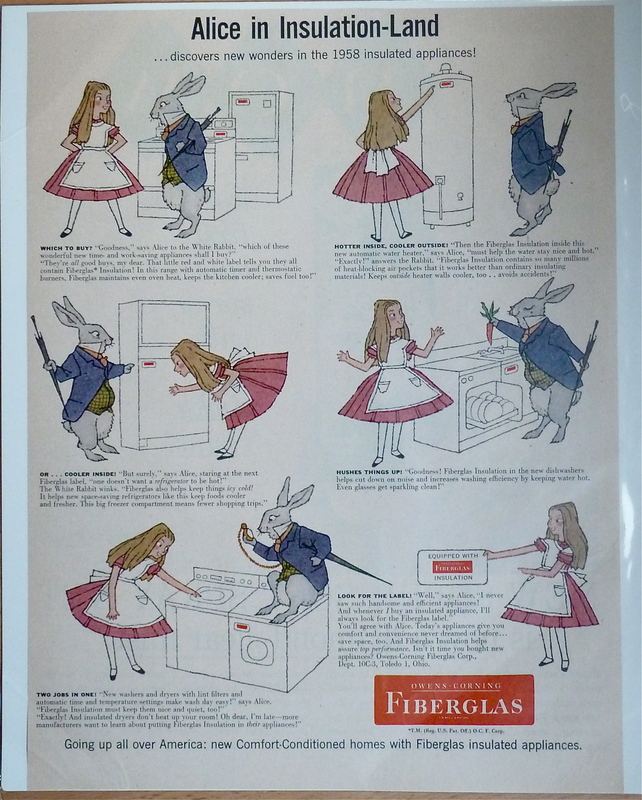 To accompany the 1972 film – inserts include Story synopsis, Press Story, Editorial blocks and merchandising and promotional supplements. 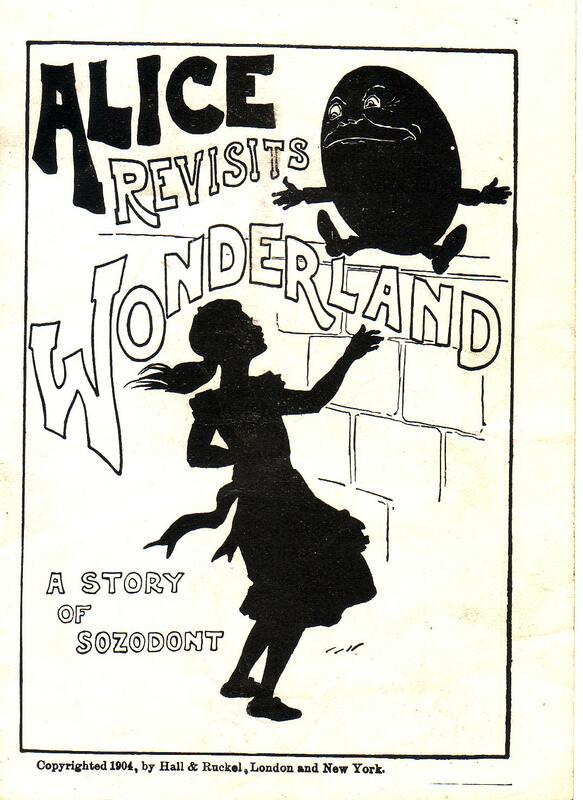 Alice Revisits Wonderland: A Story of Sozodont after Lewis Carroll. Copyrighted 1904, by Hall and Ruckel, London and New York. 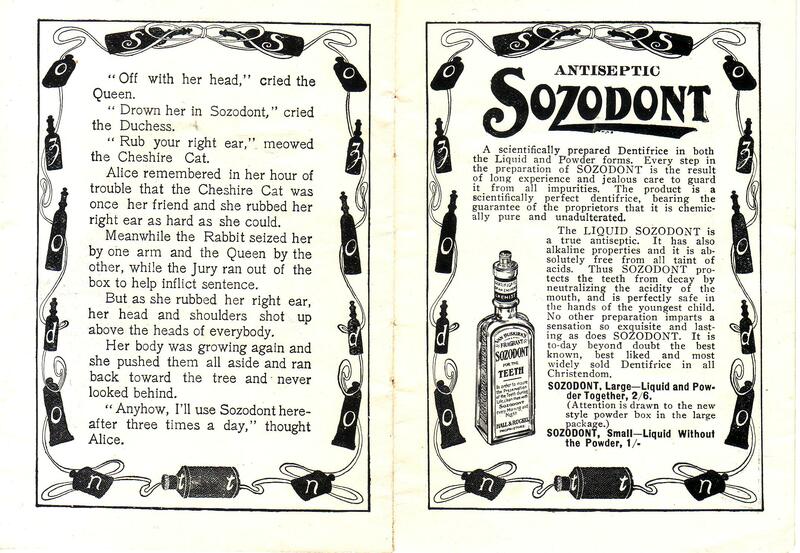 Sozodont was the creation of an American druggist, Roswell van Buskirk in the 1850s, but the product was manufactured by Hall and Ruckel. The name derives from the Greek sozo meaning “to save” and dontia, “teeth”. It apparently did just the opposite: continued use of the powder made your teeth yellow and could even strip the enamel. 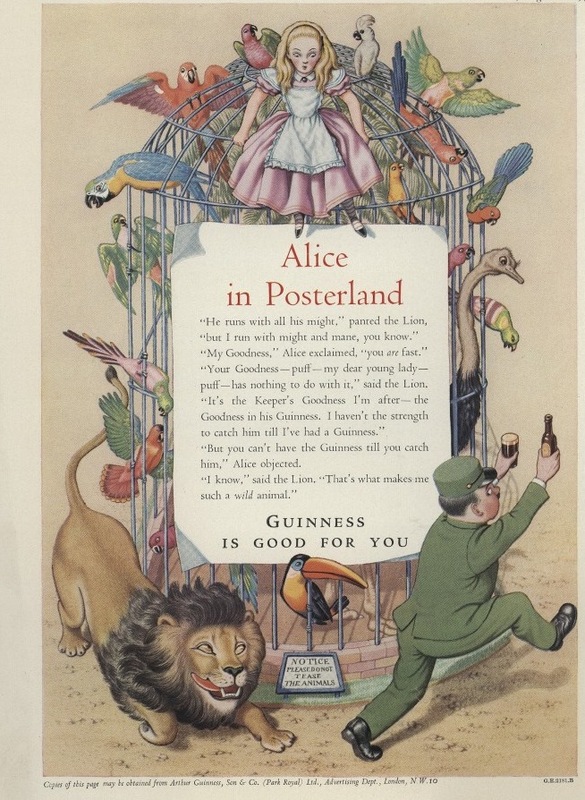 The company made strong use of advertising and by the late eighteen-hundreds was an established household name across the States and the UK. 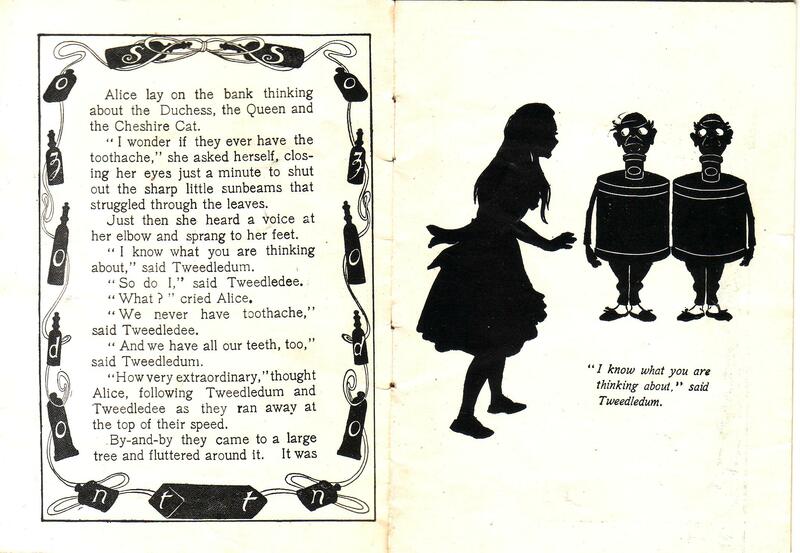 This little pamphlet uses the Alice story as a jumping off point, with a retelling of the trial scene. 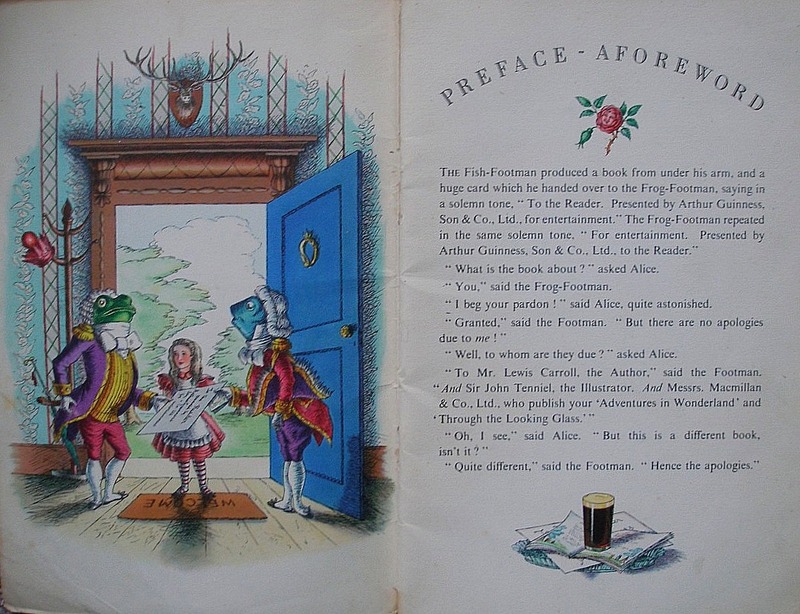 It features the Tweedles, the Queen of Hearts and the Cheshire Cat. There are straight ads for several different preparations of Sozodont in the back of the pamphlet. It’s a charming little thing- shame the product itself was so rubbish. My copy came all the way from Australia via the entirely lovely and helpful Pioneer Books. 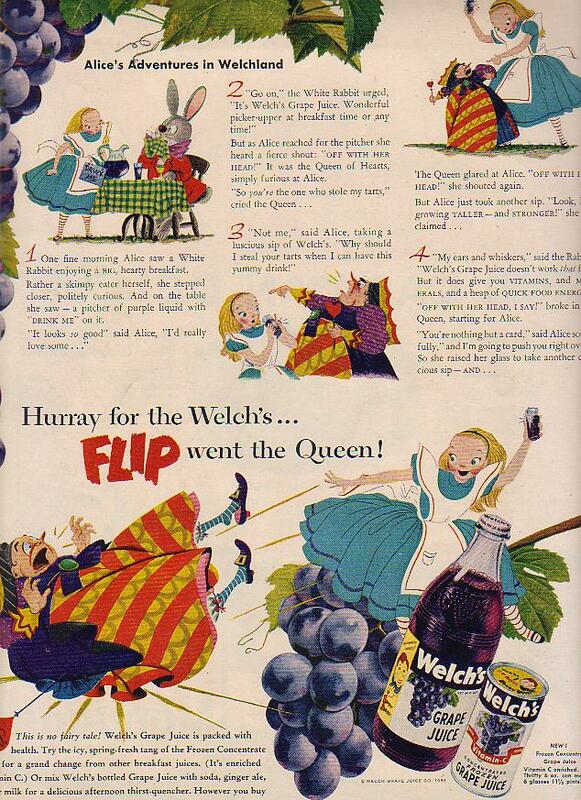 Alice’s Adventures in Welchland: Advertisment for Welch’s grape juice with an Alice theme. No date or magazine title- just a single page. Looks sort of 50’s-ish and the copyright note says 1951. 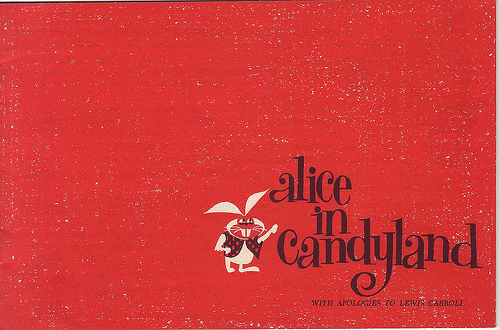 Alice in Candyland, with apologies to Lewis Carroll. No credit for author or illustrations. Advertising pastiche for Lowney’s candies. Red and black illustrations. Stapled pamphlet. Lowney’s began in the US in the late 1800s, moved to Canada in the 1960s, and was later bought out by Hershey’s Chocolates. This is a Canadian advertising pamphlet for the brand and mentions products such as Cherry Blossom, Cracker Jack, and Oh Henry! (Really Big). Blimey. Alice visits the factory in Sherbrooke, Quebec and learns how choclolate is made. Alice took a step forward and gasped. The floor was soft, white and springy. “Made from Angelus TenderWhip Marshmallows”, said the rabbit, as if it was the most natural thing in the world. Bought from Canada from the really friendly and charming Stephen Temple Books.